Migraine headaches have long been discussed throughout history with evidence of them being documented as far back as 9,000 years ago. Today about 10% of the population is affected by migraines. Women are three times as likely to be sufferers than men. Because the cause is still almost completely unknown there is great a need for migraine headache clinical studies. If you suffer from migraine headaches take comfort in the fact that there are always new migraine headache clinical trials. Migraine headaches are defined as severe headaches often accompanied by nausea and even vomiting. Migraine headaches are characterized by pulsating, throbbing pain in the head. A migraine can last anywhere from two hours up to seventy two hours. 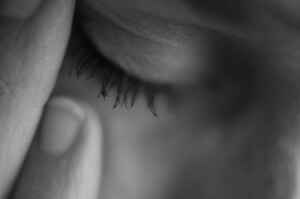 Migraine sufferers sometimes experience what is known as an aura – a combination of visual and sensory indicators that a migraine is about to occur. During the migraine itself they are often overly sensitive to light, noise and movement. The cause of migraines is unknown; however, there seems to be agreement that they are most likely caused by a combination of neural (affects the nerves of the brain) and vascular (affects the blood vessels) factors. Migraines treatments include prevention when possible. Some sufferers know what will cause a headache and they avoid those things. Triggers can include bright light or loud noises. Those suffering from migraine headaches often just want a dark, quiet room to rest in until the episode passes. Medications used for treating migraines include analgesics such as ibuprofen, Naproxen and aspirin. Caffeine can also help in that it slows vomiting and allows drugs to be absorbed in the stomach. Other drugs used in the treating migraines include triptans, ergotamine and steroids. Summit Research Network (Oregon) Inc.